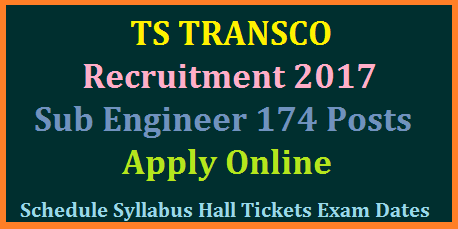 Applications are invited On-line from qualified candidates through proforma application to be made available on http://tstransco.cgg.gov.in website to the post of Sub-Engineer (Electrical) in TSTRANSCO. / UGC / DEC / AICTE as the case may be. Step I:- Payment of Fee: The Applicant should pay the prescribed Fee as per the notification as detailed above and obtain Fee paid receipt with Journal Number (12 digit) in the first instance. Step II:- Submission of Application: After payment of Fee, the Candidate has to visit the website http://tstransco.cgg.gov.in to view the detailed notification, User Guide and Application Form. The applicants have to provide payment details (journal number and date) and upload the scanned copy of passport size photograph with signature (see instructions for scanning and uploading photograph with signature) and then invariably fill all the relevant fields in the Application. Immediately on submission of application, applicant will get an acknowledgement in the form of a downloadable pdf document.